Last edited by stungjoe; 11-15-2016 at 12:45 PM. All the time I been here I have never seen this engine bay picture, some pipe work! In this picture, where is the Blow-Off-Valve venting to I notice a hose attached to it? 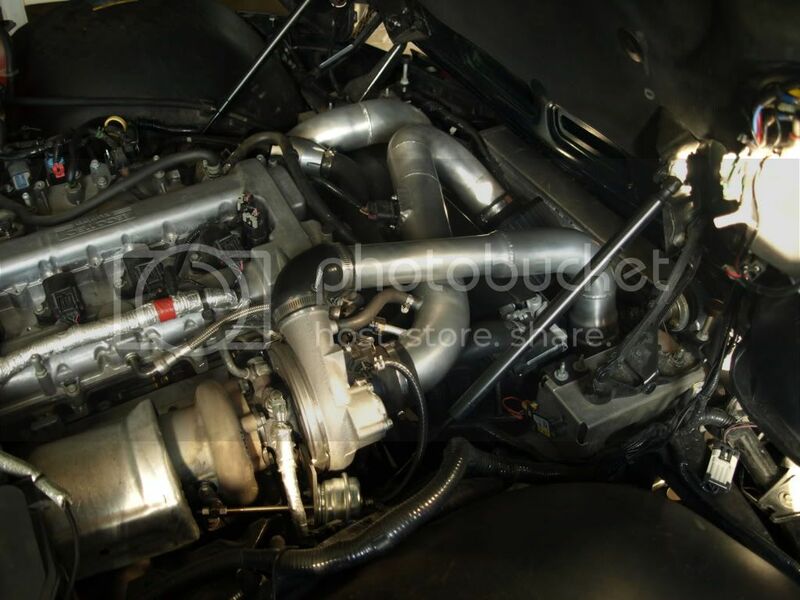 Interested in hearing what the OP has to say but it almost looks like the Blow Off valve is really a Bypass Valve (BPV) and is set up to recirculate the air charge back into the intake system post MAF. Since the BPV is post MAF (you can see the MAF sensor in the intake) the air being redirected by the BPV is already metered by the ECM and thus venting to atmosphere is going to screw with the ECM's calculations for fueling.